If you own a website, you’ll quickly learn that the only way your website goes live and is accessible by visitors is with the use of a web host. Unfortunately, many people make the mistake of not carefully choosing a web host to host their website. The result? You’re stuck on a server with thousands of other websites causing slow loading times, frequent down-times where the website is inaccessible, and a less-than-satisfactory customer support. Our goal here is to help you avoid making such mistakes, and to help you choose a web hosting company that works best for you and your website. If you’re looking to build a professional website for your business, you need to invest in the right web host. The best web host for business should offer control and security. Managing your business website as you see fit is crucial to developing your company. Make sure your web host does not restrict your control. A web host can act as the first line of defense against hackers and malware. Choose a web host that has reliable tech support, scheduled backups, and security strong enough to keep hackers at bay. You have to agree to the rules that these free websites want you to play by. Stepping out of line can cause your website to go offline. When using a free hosting website, you’ll have to co-brand which weakens your credibility. Your plug-in options, design choices, add-ons and other website functions are limited. There are many options available when it comes to selecting a web host, but which one is right for you? The most economical hosting option is shared hosting. Multiple sites rent server space and share the resources. Instead of relying on one server, cloud hosting offers space on an entire network of servers. Using multiple servers means the work is shared and the output runs reliably smoother. The most luxurious of all hosting options, dedicated servers are just that: Servers solely to storing your website. In this case you have access to all the server resources and thus have maximal control, customization, and site performance. VPS hosting is a mix of dedicated server hosting and shared hosting. In this instance, a private server is split into individual servers for each website it hosts. While the resources are still shared, it is typically with significantly fewer sites. What Kind of Hosting is Best for Your Business? If you’re just starting to test the waters and not ready to take your business too seriously, shared hosting and cloud hosting may be the best option for you. If you’re hoping to establish your business, however, you need a more professional web host. Local businesses are best served by local dedicated server web hosts. This provides the most security and best tech support at the best price. The right web host will ensure your website’s optimal performance and that means better business. 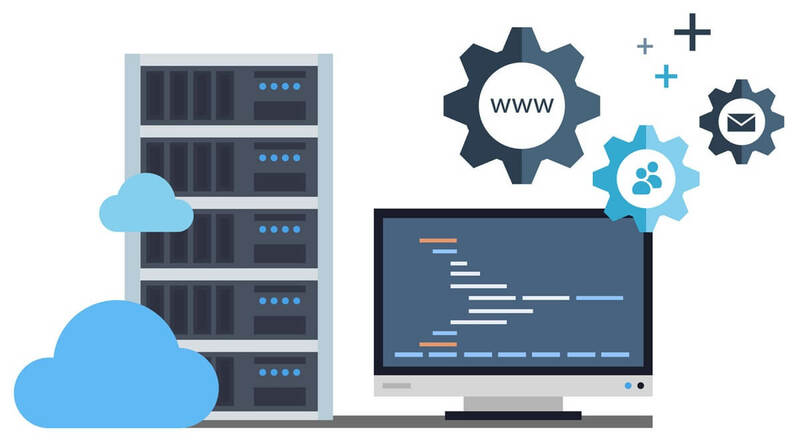 Make sure you choose a professional web host that offers reliability and security in order for your business to excel.